At Avantpage, we believe in providing the opportunity for all people to pursue their dreams. Not only do we live this through our mission to provide translations that help immigrants to understand the world around us, but we also live this in our daily actions as well. The journey our employees go on throughout their time at Avantpage highlights our desire to allow others to pursue their dreams and grow both professionally and personally. Fatima’s journey from Project Manager to PM Team Manager is just one example of how we live our mission. Fatima Perez started working with us as a Project Manager in our Mexico City office in January of 2015. 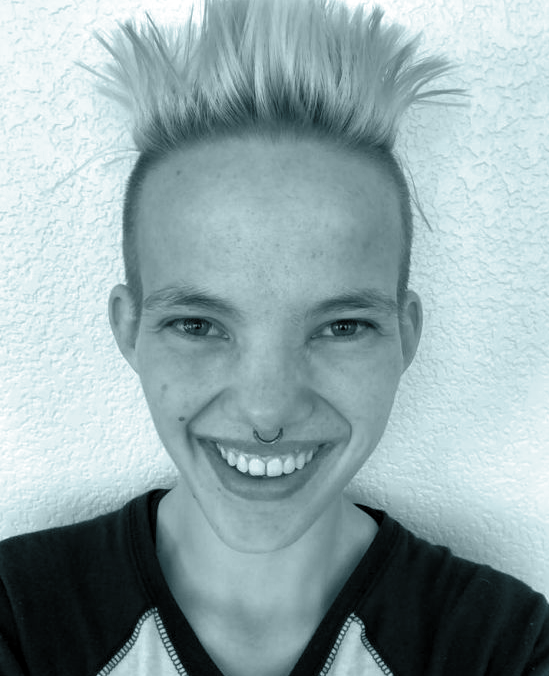 She was inspired to apply at Avantpage because she was always drawn to languages. She struggled to find a position like this, but she found Avantpage and submitted an application to be one of our Project Managers. Even though she hadn’t studied in the industry or worked in it before, Fatima knew this was where she belonged for many reasons. Fatima’s journey started with her being accepted to the open role of Project Manager. As a new Project Manager, she worked closely with our more experienced team members to set-up translation projects and provide excellent service to our clients. After a few months of this kind of training, she had some of our key clients assigned directly to her, giving her the opportunity to work independently on every stage of processing requests. For the first three years of her time at Avantpage, Fatima was focused on getting to know the industry and excelling as a Project Manager, handling some of our most demanding accounts. In her third year, she was offered the opportunity to start a transition to take on a wider leadership role within the company. 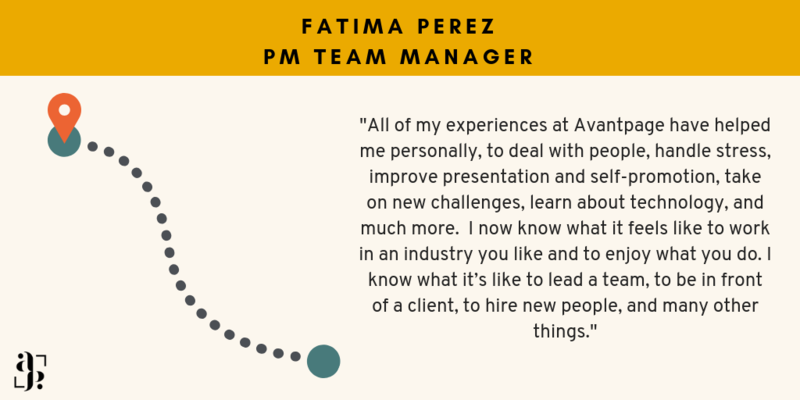 This transition allowed Fatima to become our PM Team Manager, where she now oversees the entire Project Management Team at Avantpage. While Fatima’s journey wasn’t easy, she “now feels in control and comfortable in [her] new position.” She had the opportunity to develop her leadership skills through coaching sessions, attend a conference, visit clients, travel to the Davis, CA office, and grow an entire team of Project Coordinators.